Five years ago, I had a psychotic episode and was diagnosed with schizophrenia. It took about a year and a half for me to stabilize enough to not have to be in the hospital. My psychiatrist then changed the diagnosis to Bipolar disorder. It took me five years to understand and accept that I need medication to manage this disease. On a side note, my first episode occurred at a time when my sadhana was at a low ebb, so it taught me the need for consistency and steadiness in my daily practice. 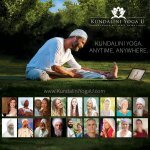 One thing that has been a constant aid to me in my recovery is Kundalini Yoga. If I’m feeling angry, there is a yoga set for that. If I’m feeling fear, there’s one for that too. 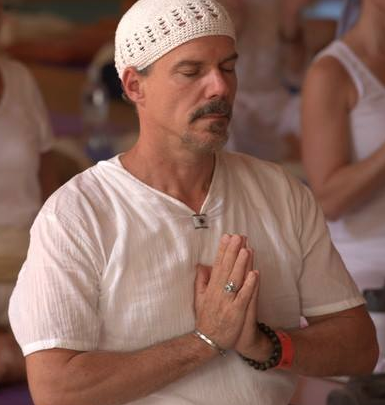 I have been practicing the DVD set Eliminating Inner Anger by Yogi Bhajan fairly regularly for a few months now. Along with cold showers and reading the Guru’s Bani, the set is one of my lifelines to a stable existence. My favorite CD for listening to banis is the double Daily Banis cd by Amarjit Kaur. I’ve found that the Eliminating Inner Anger set takes a homeopathic approach: it makes me angry while I do it, then the rest of the day it’s a lot easier to manage my anger. It’s sort of like taking out the trash in my own body and mind. For me, there is no substitute for medication, which takes a different approach to the same problem, directly changing my brain chemistry. Some people in the mental health field believe that mental disorders can be managed, but never cured. I feel fortunate to have grown up in 3ho, a culture where we are taught from a young age that anything is possible. If I have this disorder for the rest of my life, so be it. I will still try to cure it, despite what some people tell me. For me, medication and yoga are equally effective in this process, and equally necessary. I believe we have entered a new era of understanding. A missing part of our education has been found. There is a reason why we humans, the most intelligent animal on the planet can be so extraordinary on one hand, and on the other, having to suffer, for example, the pangs of bipolar; a brain disorder that causes severe ups and downs that effect mood, energy, and ability to function. The reason can summed up this way. We humans pay a price for having a highly creative brain that has created, without our knowledge or permission, an image of who our brain thinks we are. This image (the ego) consists of our beliefs and has a gatekeeper, the “chatter in our head” whose purpose is to protect, and if necessary, to create new beliefs that support the ego’s agenda. The ego is clever, and knows that our intelligence affords us the opportunity, unlike other primates, to project into the future and past. Our chatter high-jacks this talent, turns it into a weapon and uses it against us. For example, our chatter loves to drag us into the future and beat us up with what-if questions, we can’t answer. 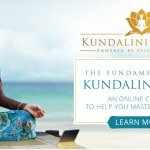 “What if you fail, what if you’re rejected, what if you don’t get the job, what if, what if, what if?” When our chatter finishes, bouncing us up and down in the future, it will haul us into the past to remind us of our failures and mistakes, hoping we will slide further into the abyss, which raises a question. How do we manage this “thing in our head” that has run us all of our lives? Click on this link http://www.youtube.com/watch?v=pjA2Nr6LEZk to learn the answer. A note regarding the “chatter in our head.” Those taking a psychological drug(s) may not be aware the drug is intended to moderate the “chatter in their head.” Improper medication may turn up the volume. Patients, who are unaware of this fact, may attempt to quiet their “inner noise” through means that may have, unintended consequences.